Need help applying for health insurance? ​Legal Aid is here to help! If you received advanced premium tax credits for health insurance through the Healthcare.gov marketplace as part of the Affordable Care Act, please file your taxes to reconcile your premium tax credits. Advanced premium tax credits lowered your monthly premiums. You will need your 1095-A form and IRS Form 8962. You can obtain the 1095-A form from your on-line Healthare.gov account. You must file your taxes even if you are not required to do so. If you do not file taxes, you may be ineligible for future advanced premium tax credits. This ineligibility may increase your monthly payments. If you have any questions, please contact the Marketplace at 1-800-318-2596. If you have any issues, Legal Aid may be able to assist. You can contact Legal Aid at 808-536-4302. If you need free help filing for taxes, you can visit www.hawaiitaxhelp.org or www.taxaidehi.org/site-information for a list of other tax assistance resources. *Open enrollment is from November 1, 2018 to December 15, 2018. After this date, you can enroll or change plans only if you qualify for Special Enrollment. 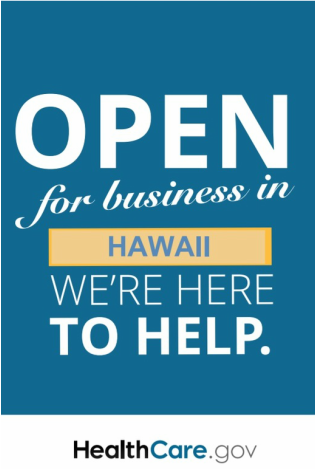 *Legal Aid is here to help Hawaii residents find affordable coverage. For FREE help call (808) 536-4302 to make an appointment. * Fansoun a suk ach alilis ngonuk on ewe insurance a poputa on November 1, 2018 iwe epwe muchuno on December 15, 2018. January 31, 2018 epwe much atun omw kopwe apply ika siwili ewe insurance ka finata. Murin ei pwinin maram, a kesip omw kopwe apply ika siwini noum we insurance chilon chok ren ewe Special Enrollment. * Legal Aid iei mi moneta an epwe alisi chon Hawaii ar repwe kut nour insurance mei mwokukun. Kokori ei nampa 808-536-4302 (ese kamo, mi chok free) ren ach sipwe alisuk.